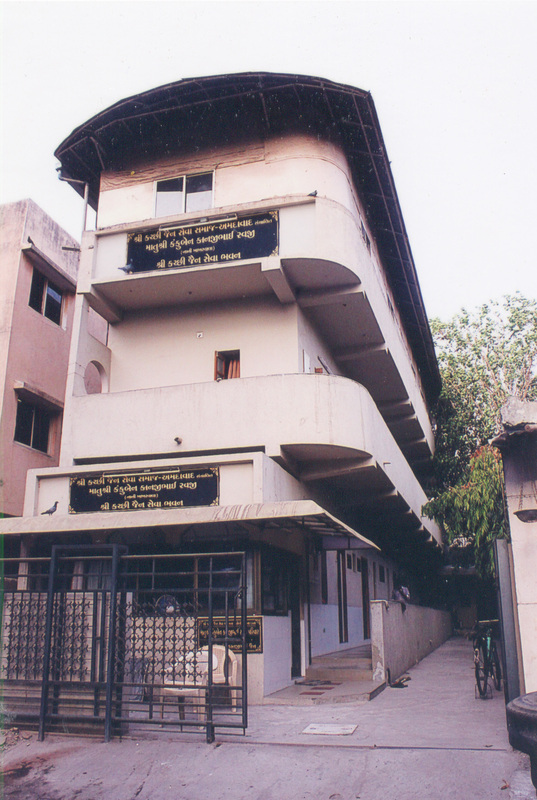 Matusri Kankuben Kanjibhai Ravji (Nanikhakharwala) Sewa Bhavan. - Five Rooms each 2 beds. - Dormitory facility of 18 Beds, Student facility for 7. S.T. Bhavan is 3.5 km. from Paldi Bhavan & about 6-7 km. from Shahibagh Vishramgruh It is situated near main S.T. Bus Stop and only 2 kms from railway station. City area like Lal Darwaja, Manekchowk, Gandhi Road, Relief Road and Maninagar area are within the distance of about 3 kms. All Kutchi Jains, visiting Ahmedbad, can avail the facilities at this bhavan.